DARIEN — The district is looking to double the enrollment of Fitch Academy, the town’s new alternative high school program, following its success during its pilot year. 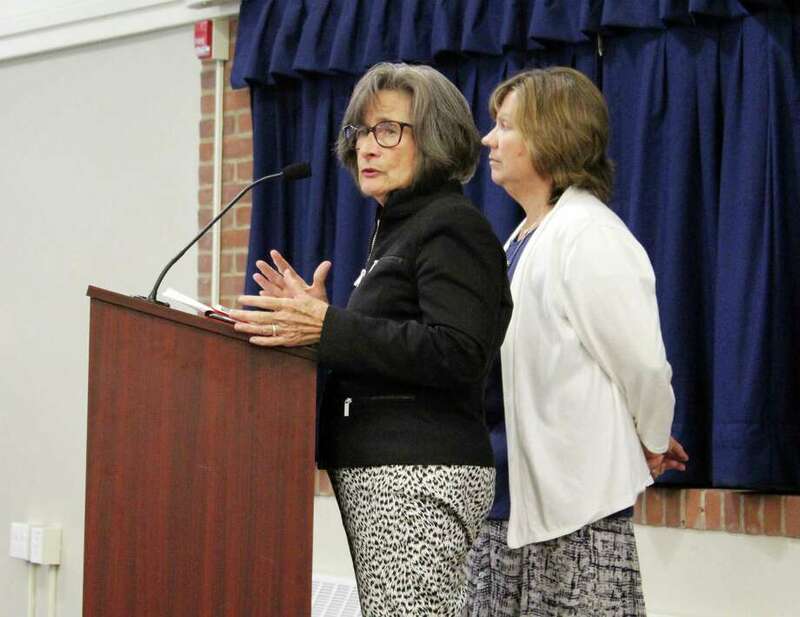 The idea was proposed during the district’s monthly check-in with Fitch Academy’s lead teacher, Lynda Sorensen, along with school psychologist Eileen Whalen. In addition to providing an update on the program designed for students with health and attendance issues, the women also discussed the two-year plan for the program. Sorensen told the board Fitch Academy has been up to its full 12-student capacity since early October with three students on the waiting list. One student is considering moving back to the high school next year. Many more students and parents have expressed interest in the program after hearing about it through friends, counselors or teachers. In the next year, the district would like to add more students to the program while keeping it small enough to allow instructors to attend to individual students’ needs, something that has been helpful in the early months of Fitch’s first semester. Spaces would be left at the start of the school year so students could join the program as needed throughout the school year. To do that, staffing will increase from 2.09 staff to four, including a part time psychologist and social worker. The district is also seeking dual certified staff members to increase the number of classes staff members can teach. The district is also looking into opening four slots for students from New Canaan, Wilton, Westport and Weston. This option would bring in potential revenue to offset the costs of the academy. The program is currently saving the town up to $175,000 in outplacement costs. Brenner, who has worked with this model of alternative high school before, added these students would not replace in-district students who want to go to the program. Part of the ongoing cost of the program is renting space. Right now, the district is paying $24,000 to rent out the teen lounge in the Darien Library, but the rental is only for one year. Brenner said he is looking at other facilities in town, but the space needs to have a sprinkler system and handicap access which limits the search. And while Sorensen said a location near a restaurant would be good for students (most of whom use the library’s Frosty Cafe on their lunch breaks), some board members questioned whether it’d be better to have the space closer to the high school. Brenner said he would return to the board with a proposed budget once he found a potential space that can accommodate double the students that are currently housed in the library. In the program’s third year, 2019-2020, the district will reassess it, looking at the number of students and graduates, as well as how long they spent at Fitch. They’ll also be looking out the number of students who might’ve been outplaced and the success of out of district students, along with feedback from students, parents and teachers.